Silverberry (Elaeagnus spp. ): growing, planting, caring. A shrub, mainly used in hedges - easy to grow, and produces white flowers in Spring. Scientific name : Elaeagnus spp. Full description for Elaeagnus spp. not yet available. 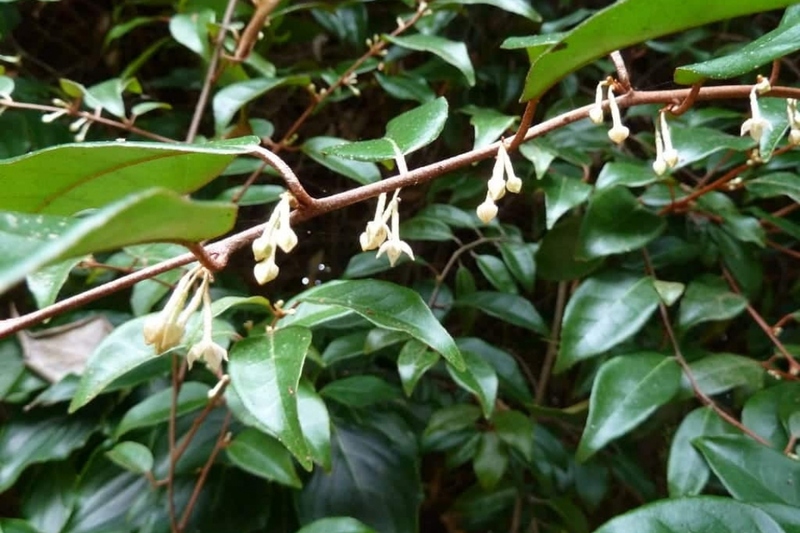 You will easily recognize the Elaeagnus, silverberry, with its small silvery or red scales on the alternate leaves. The said leaves are of primary interest because they have a silver-green or variegated yellow appearance. The twigs often bear thorns. The flowers are discreet and fragrant. Plant in ordinary soil, well drained, in the sun or in the shade. Choose winter for shrub plantations, when the soil is dry and not frozen. Dig a hole 30 cm larger than the root ball, unpack the bottom with a pitchfork or a pick. Do not mix the layers of the soil, make several piles depending on the depth, you will put it back in order. Avoid burying the collar of your eleagnus. Water after planting. Water twice a week in the first month if you have planted late in the season. If you keep your silverberry in pot, plan a repotting every 2 to 3 years, in ordinary potting soil and a slightly larger pot. The growth of the silverberry can reach a height of 10 meters for some species. If its volume or shape does not suit you, prune the end of the twigs each year in March to adjustt the symmetry of the plant. To form hedges or topiaries, prune in June and September.